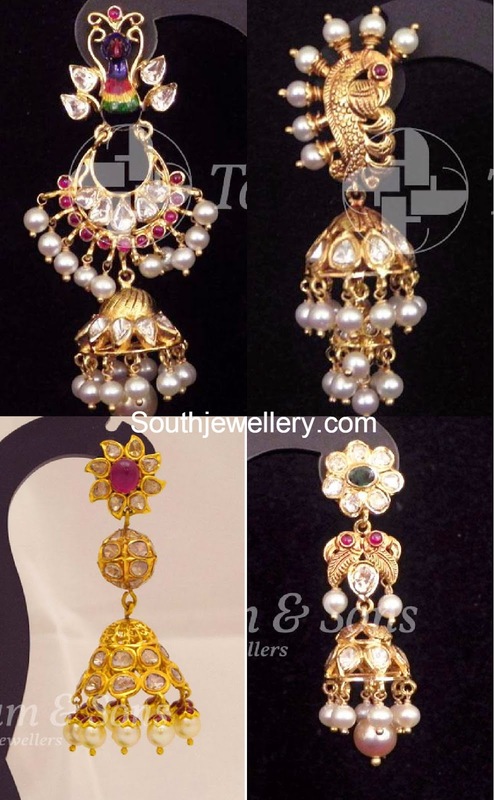 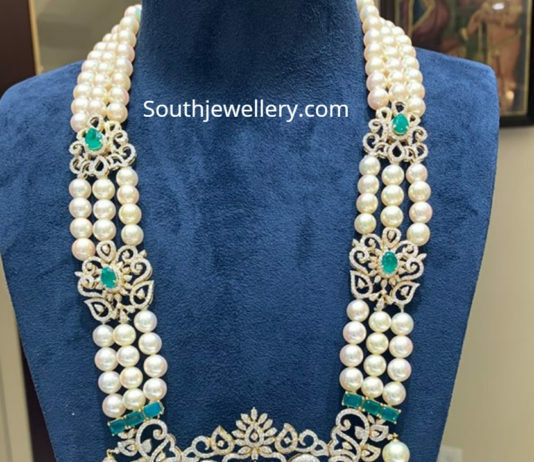 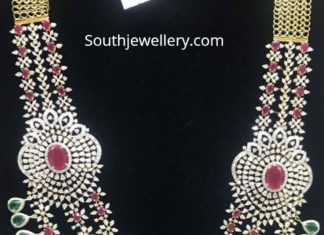 18 Carat gold diamond and ruby haram studded with diamonds, rubies and emerald and pearl tassels hanging at the bottom of the pendant by P Satyanarayan and Sons Jewellers. 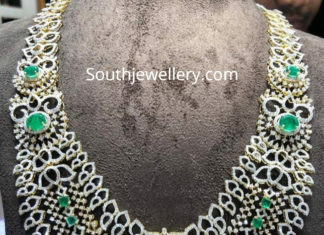 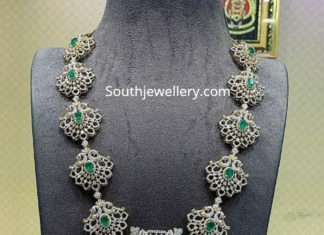 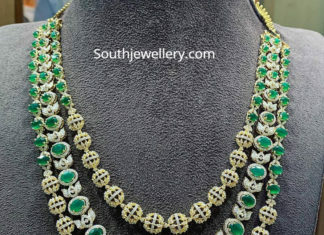 18 carat gold layered haram studded with diamonds and emeralds by P Satyanarayan and Sons Jewellers, Hyderabad. 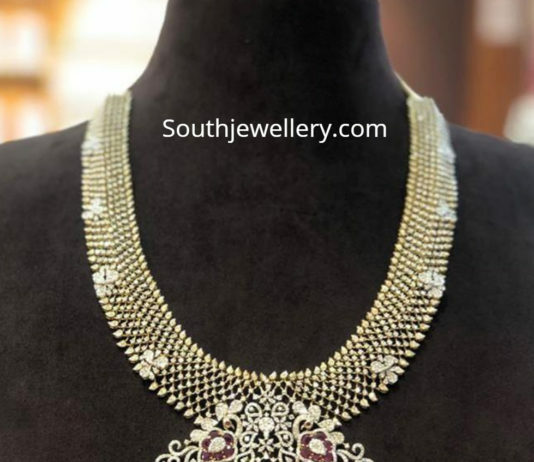 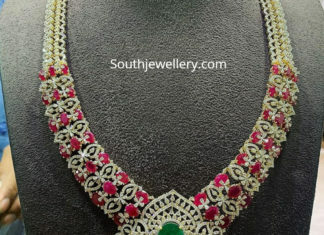 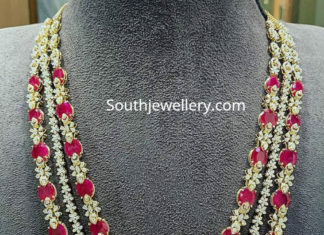 18 carat gold long haram studded with diamonds and rubies by P Satyanarayan and Sons Jewellers.